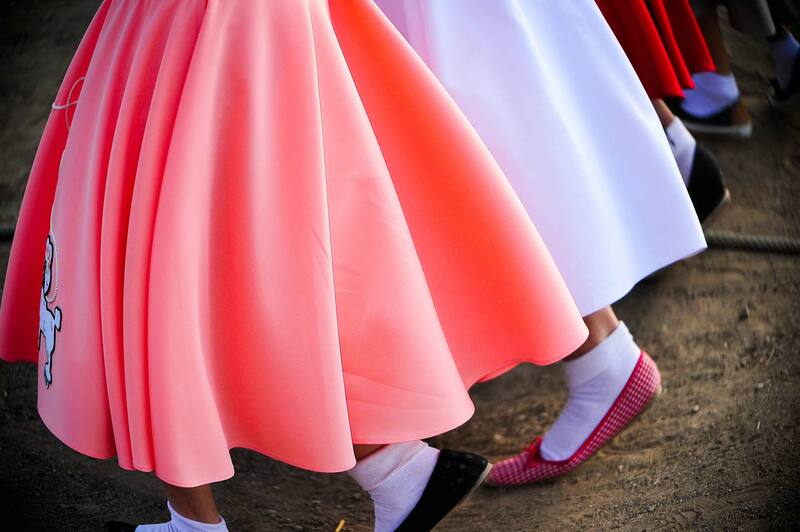 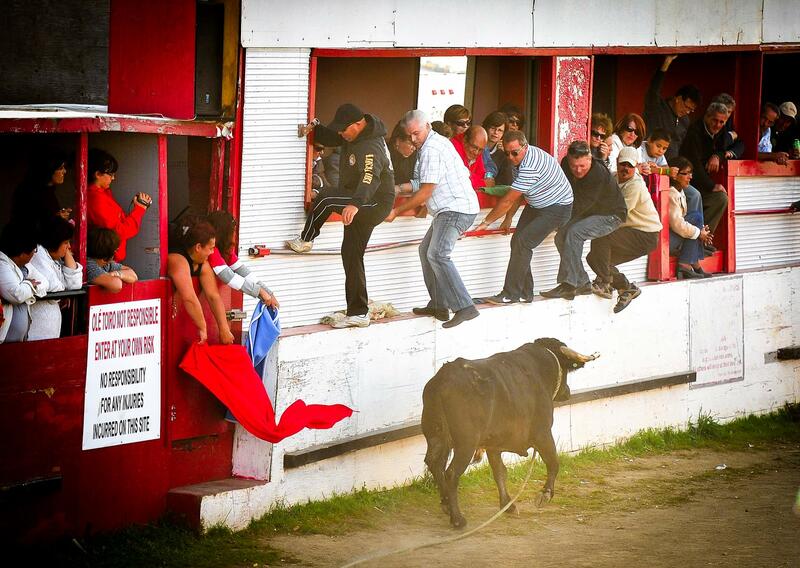 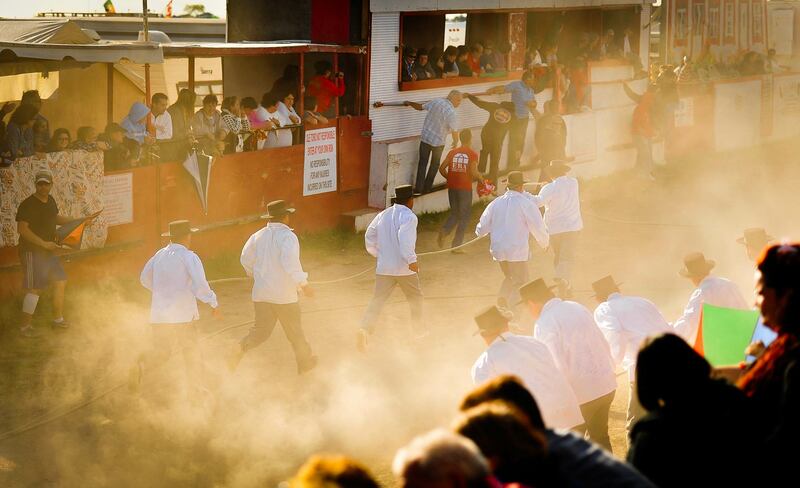 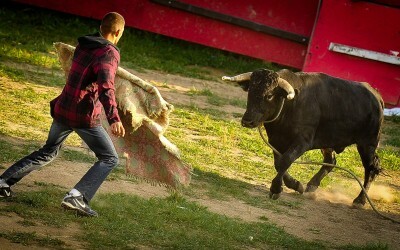 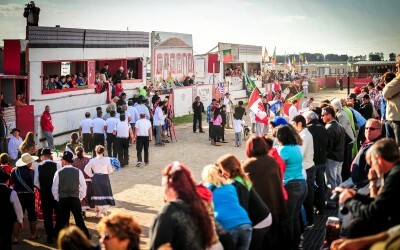 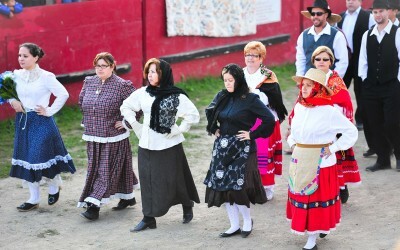 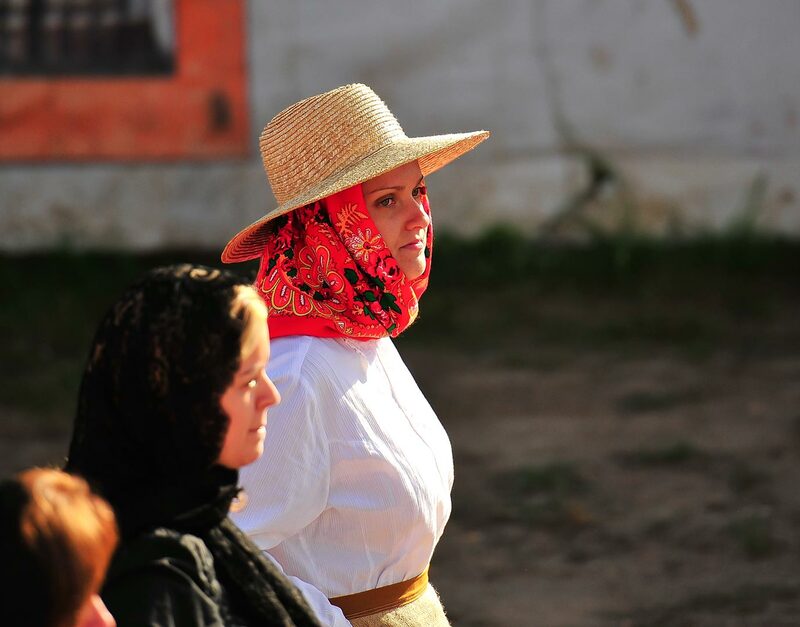 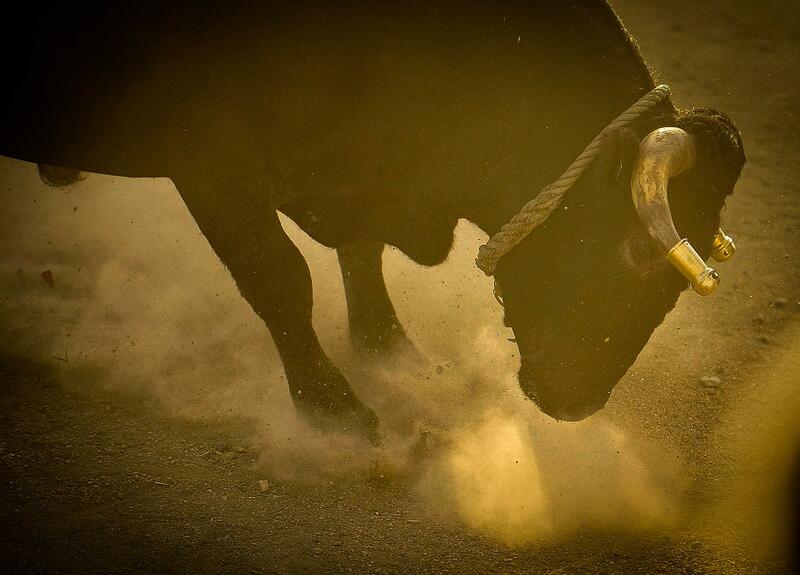 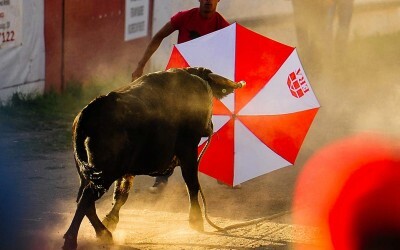 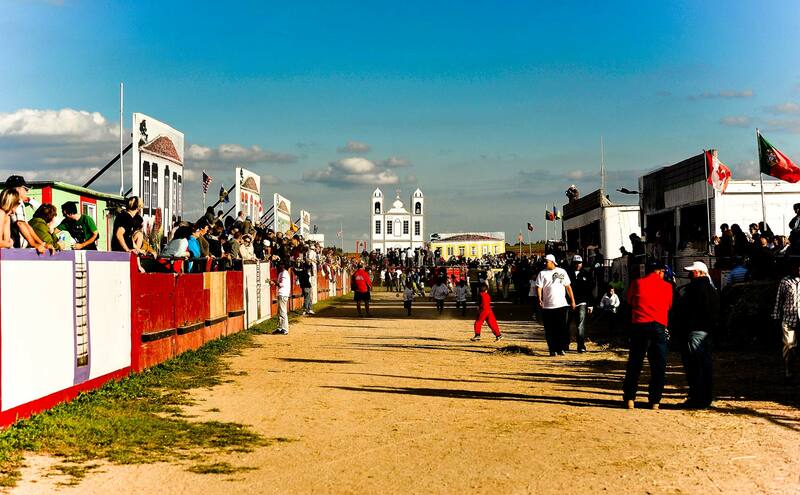 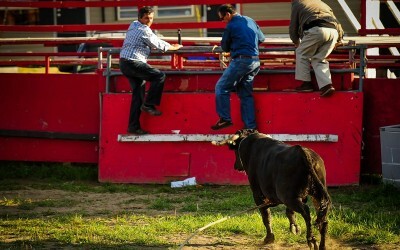 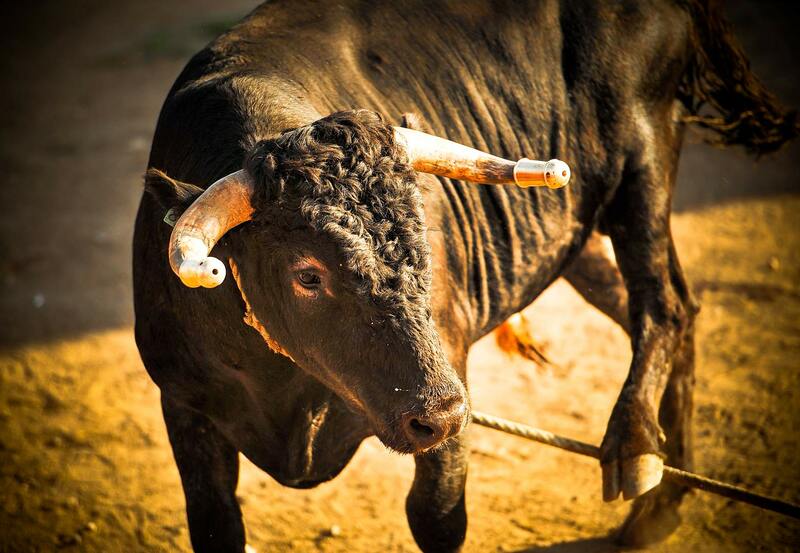 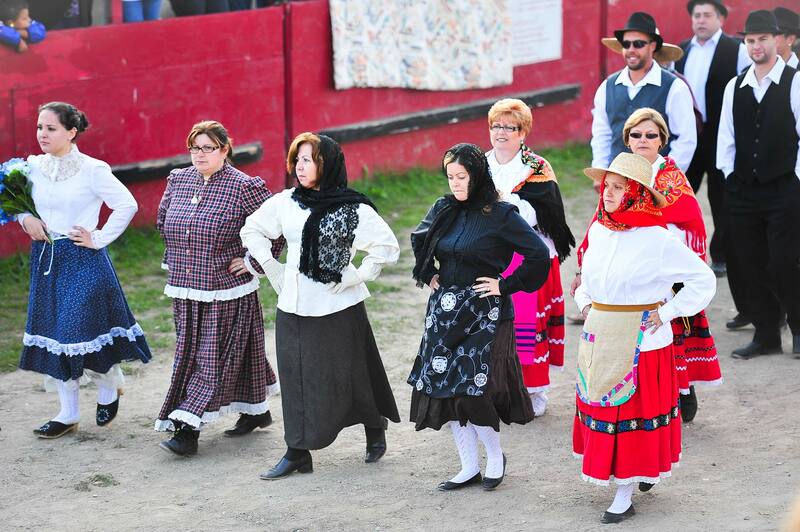 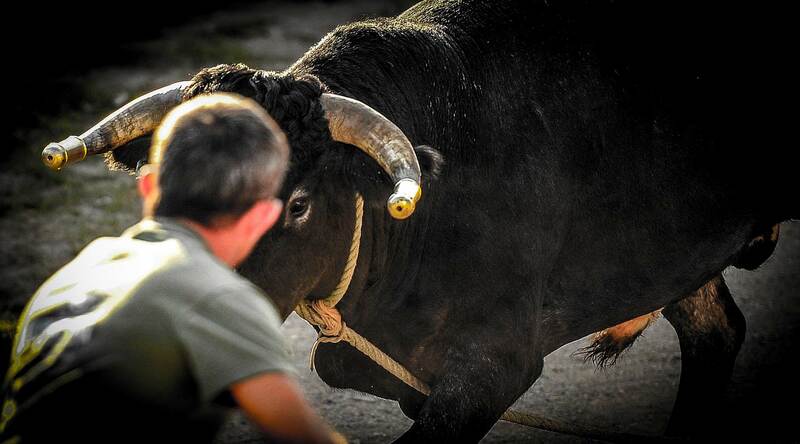 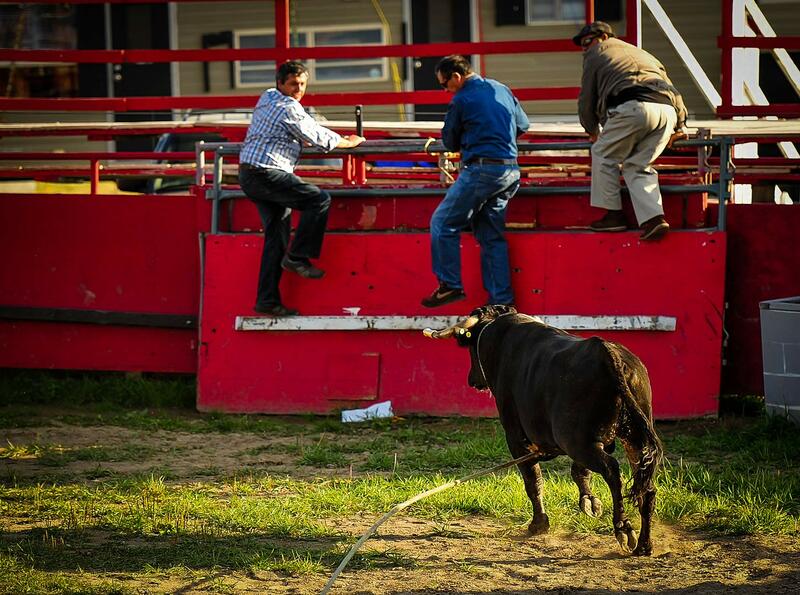 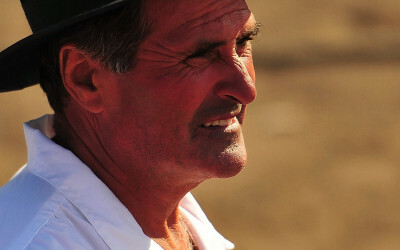 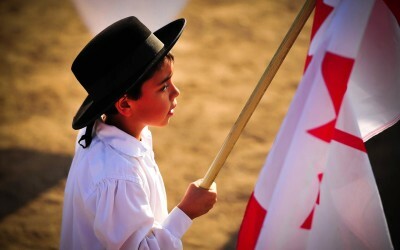 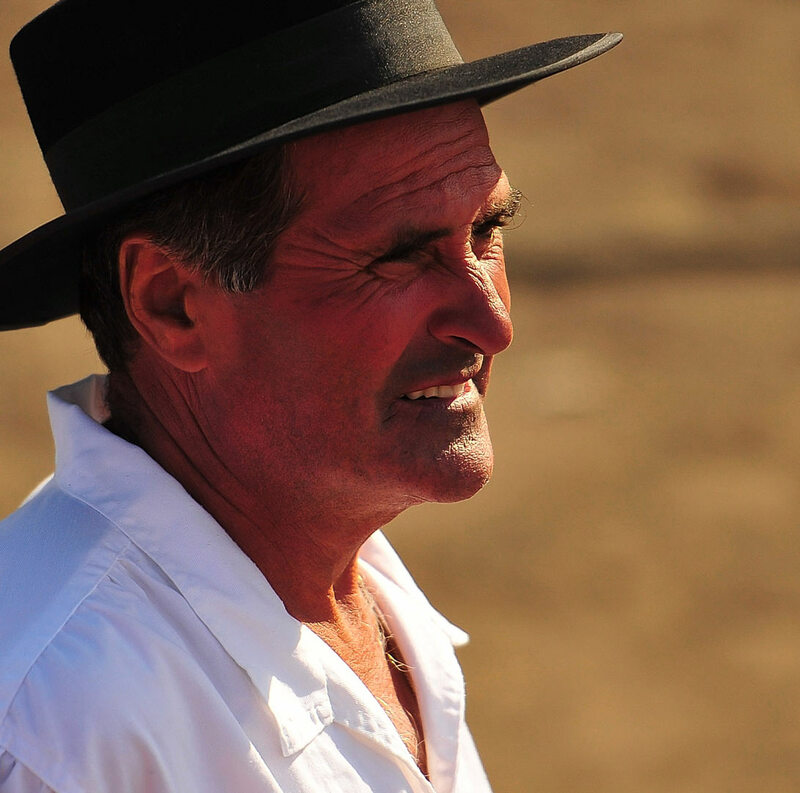 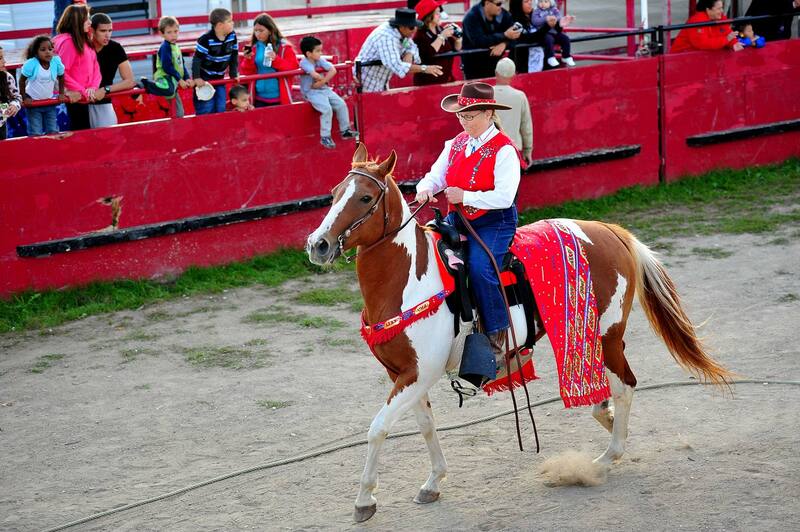 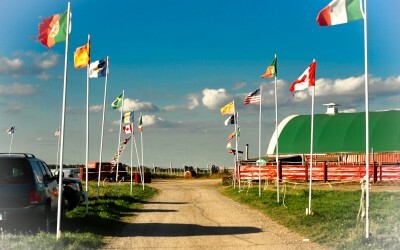 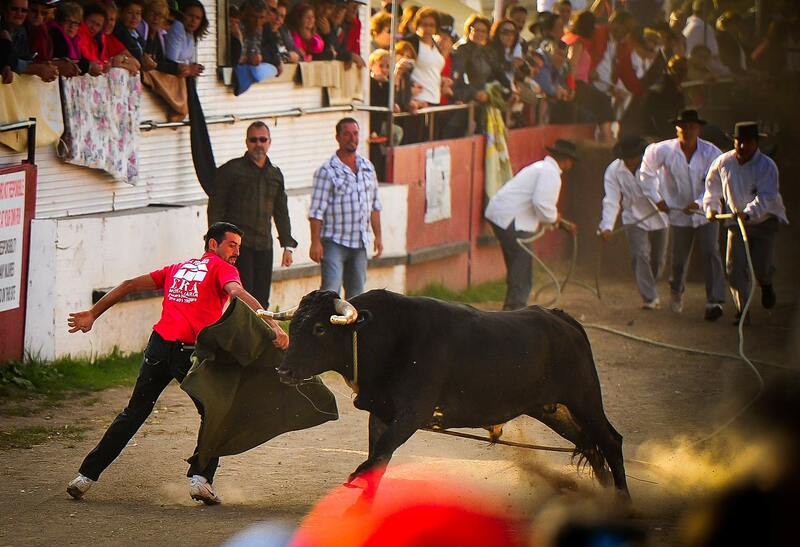 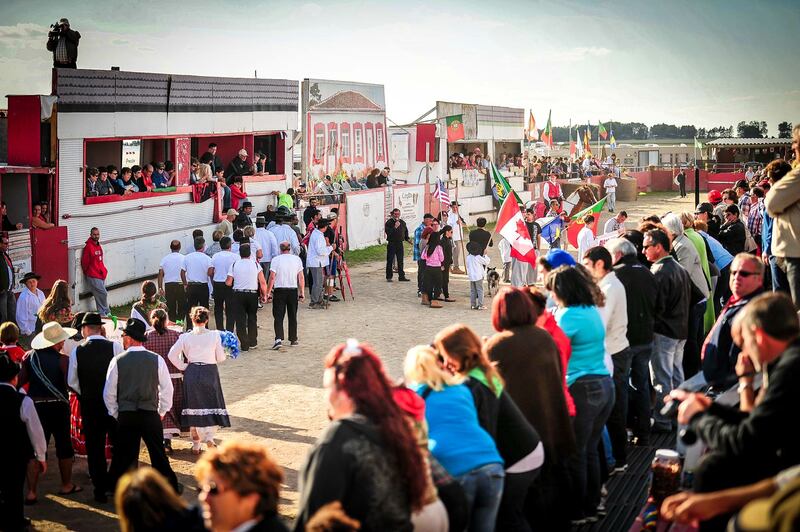 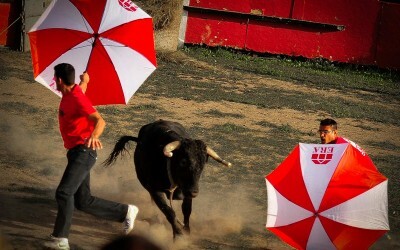 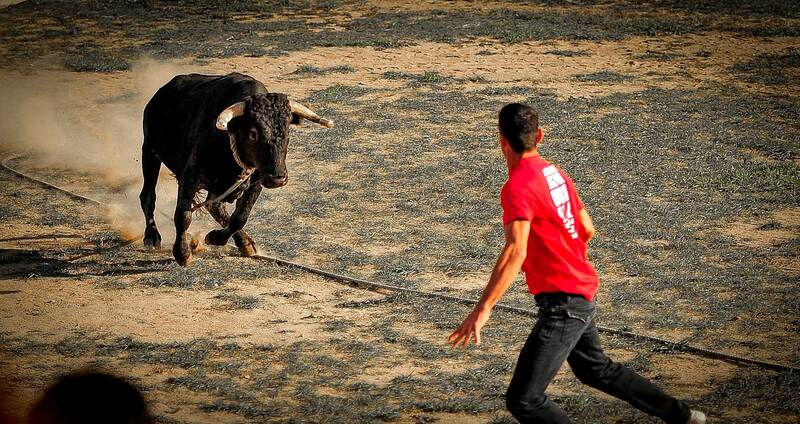 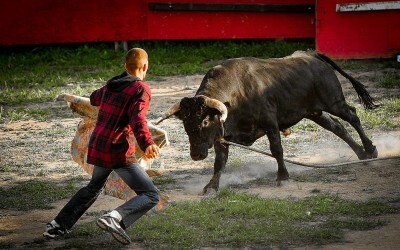 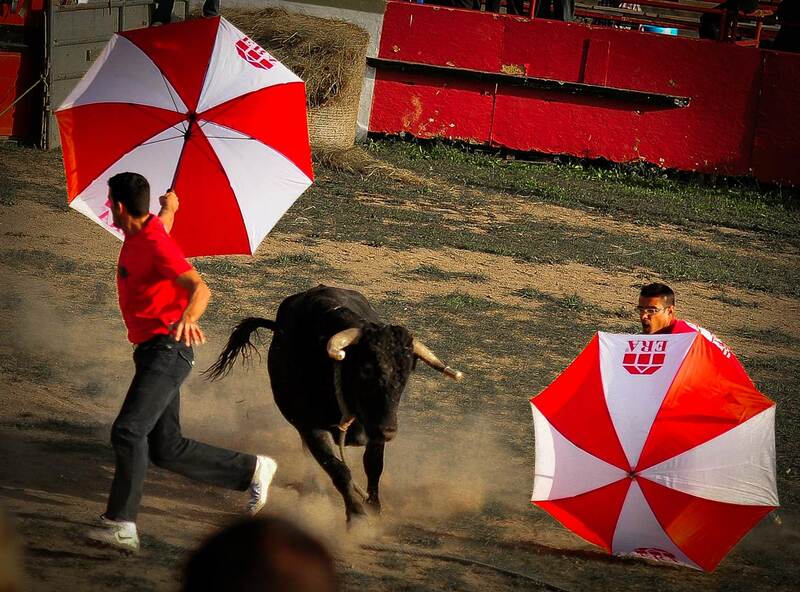 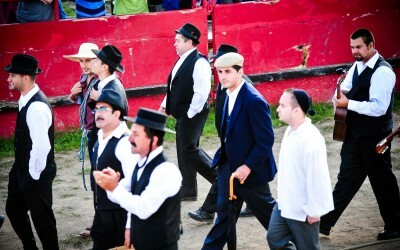 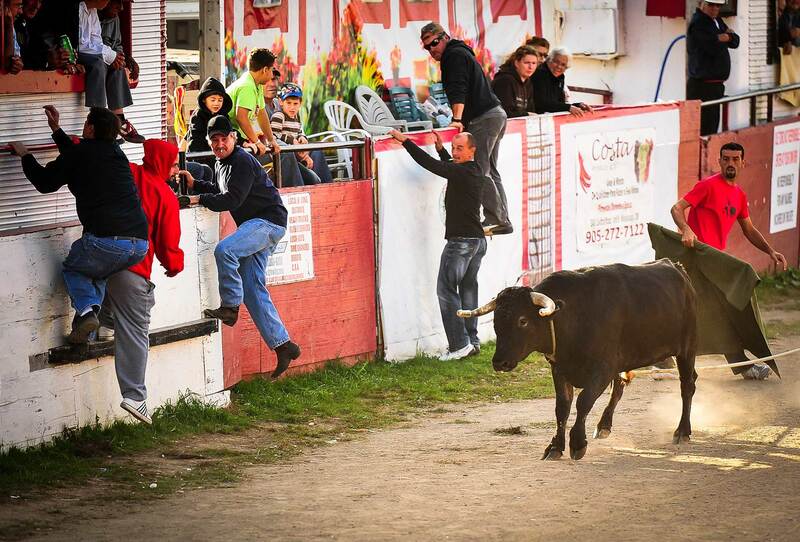 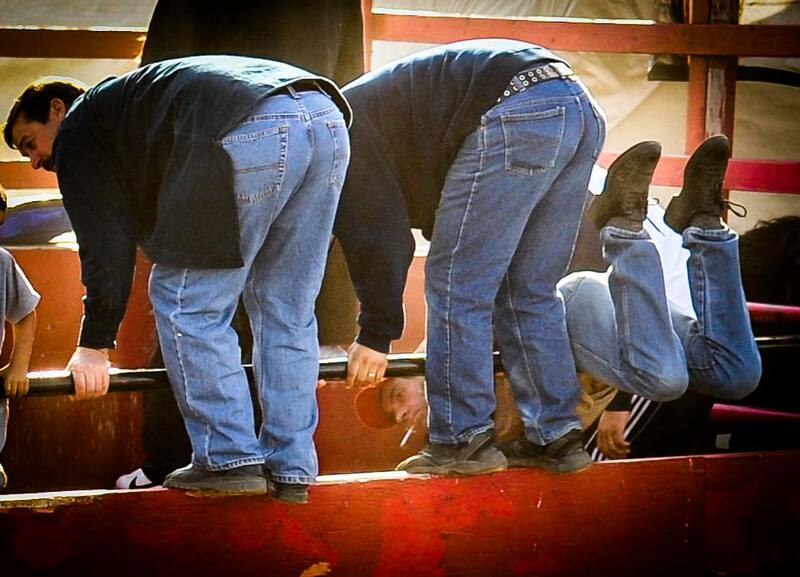 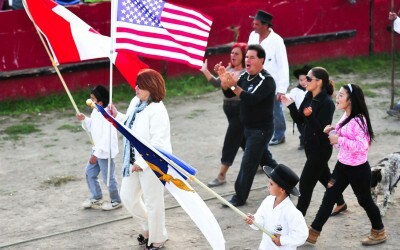 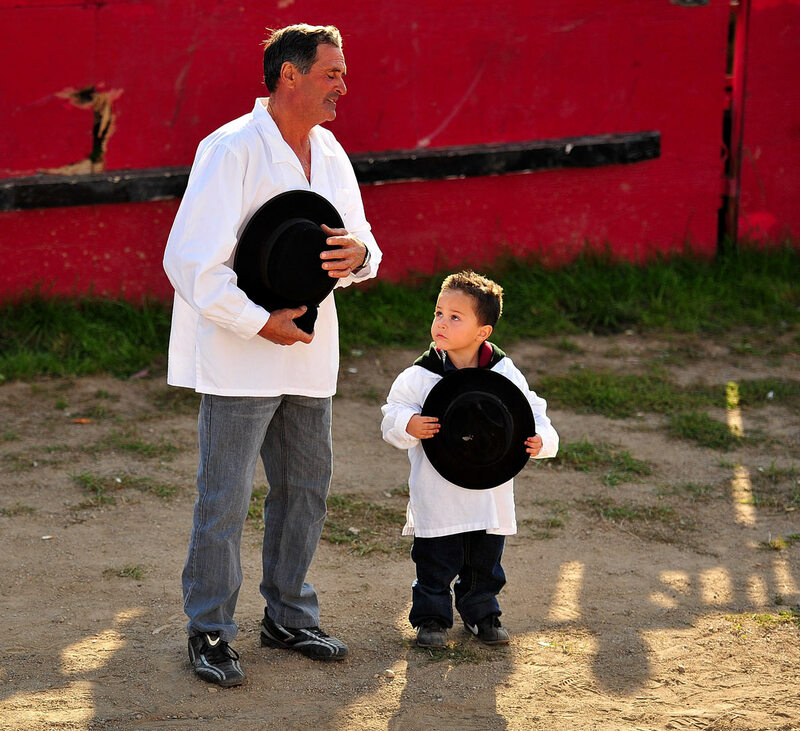 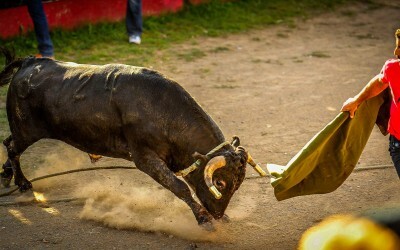 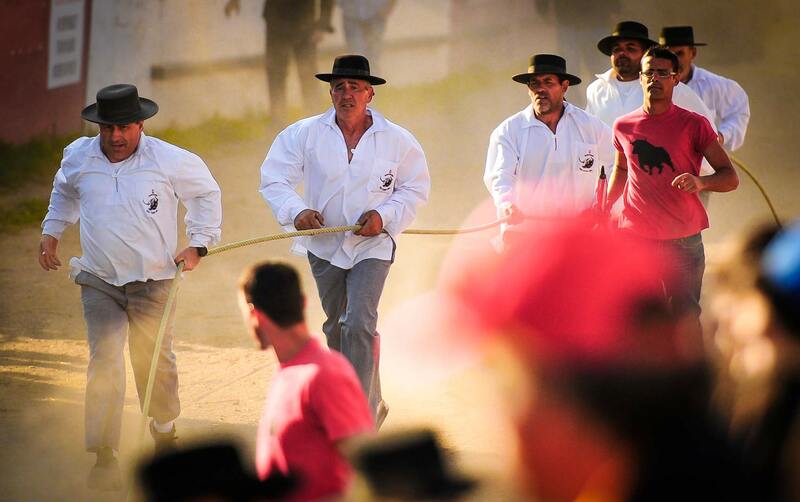 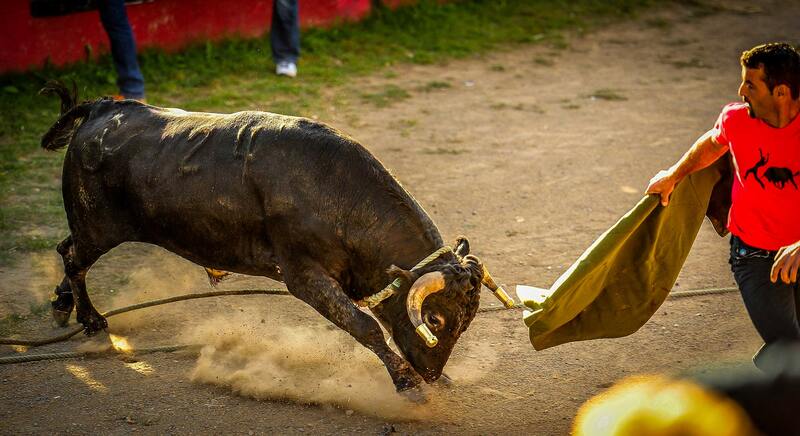 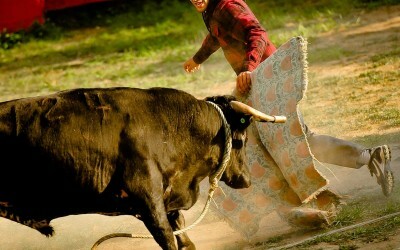 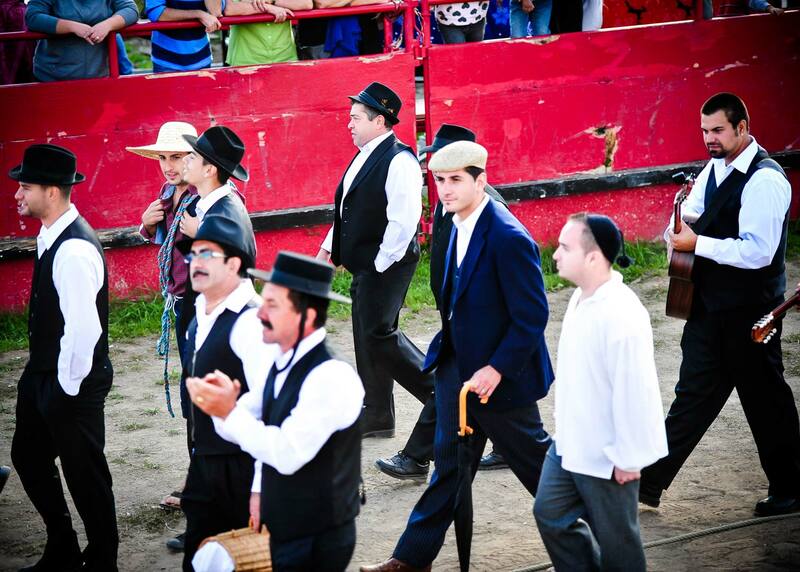 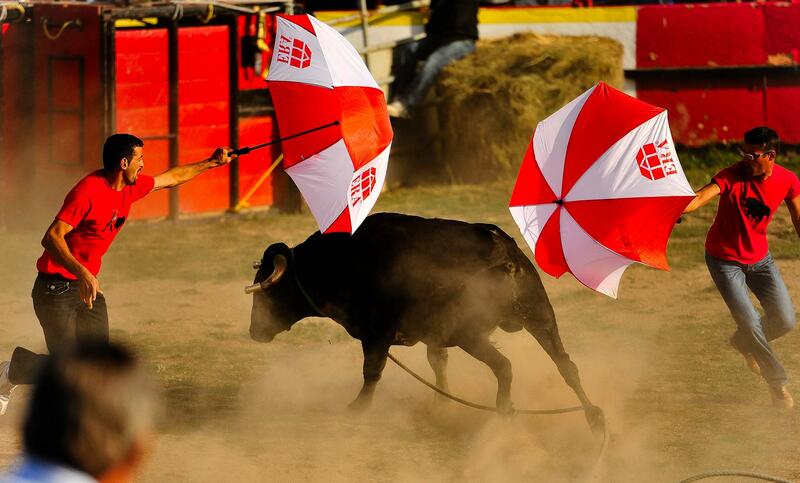 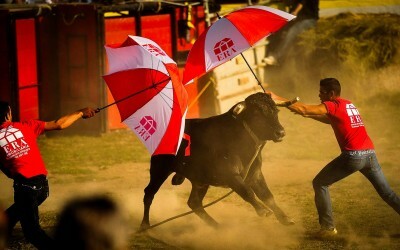 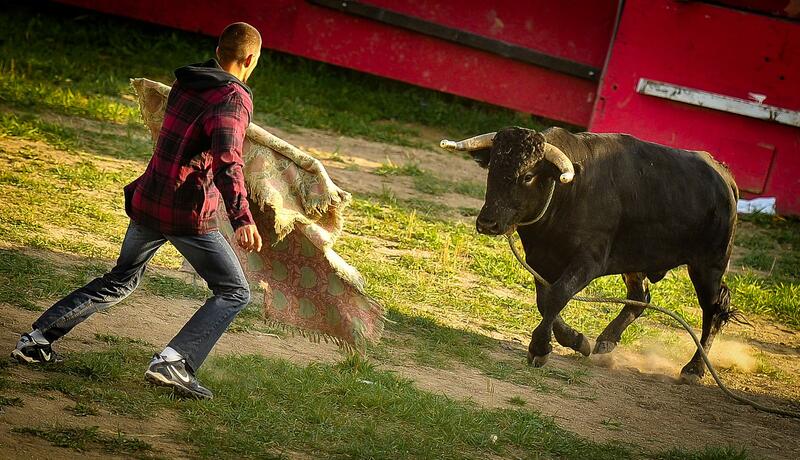 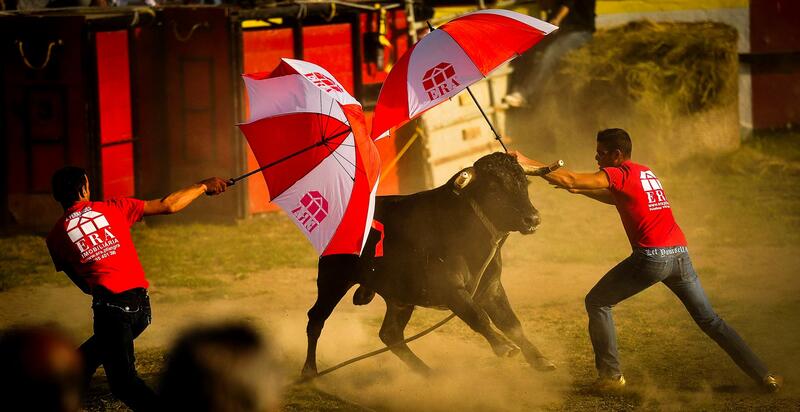 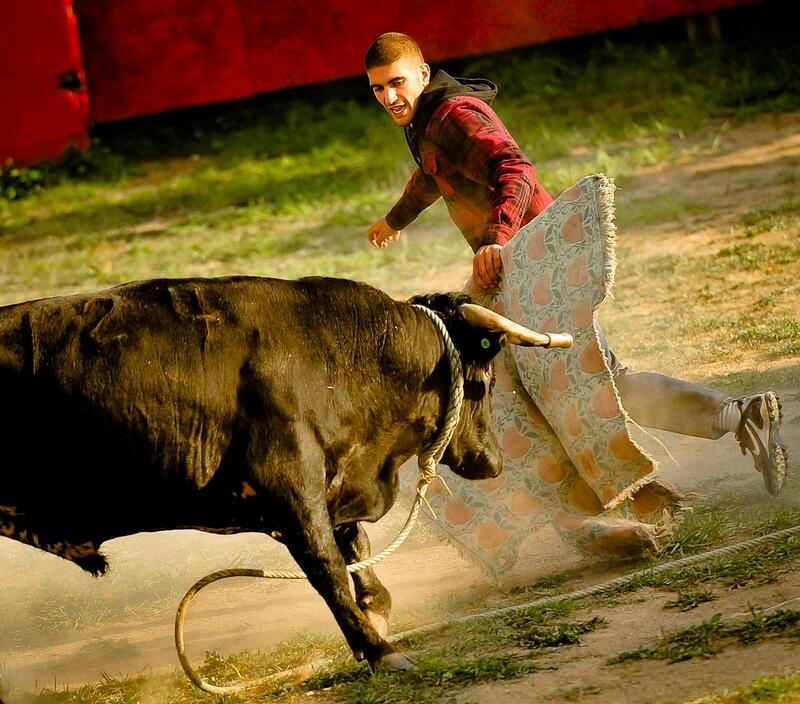 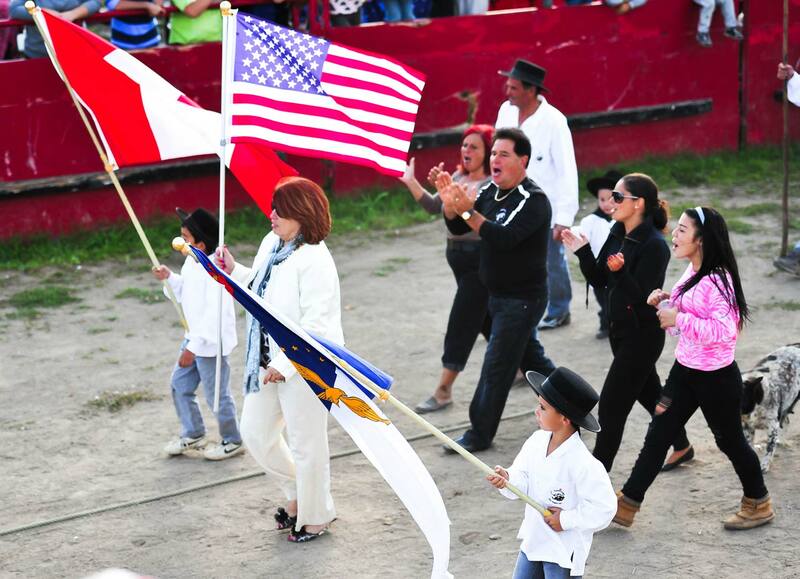 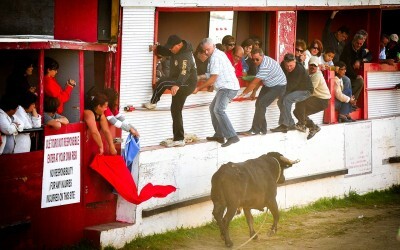 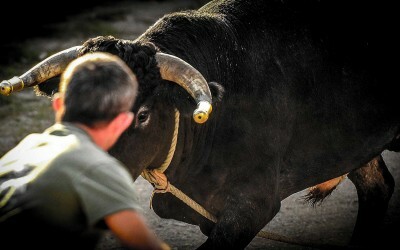 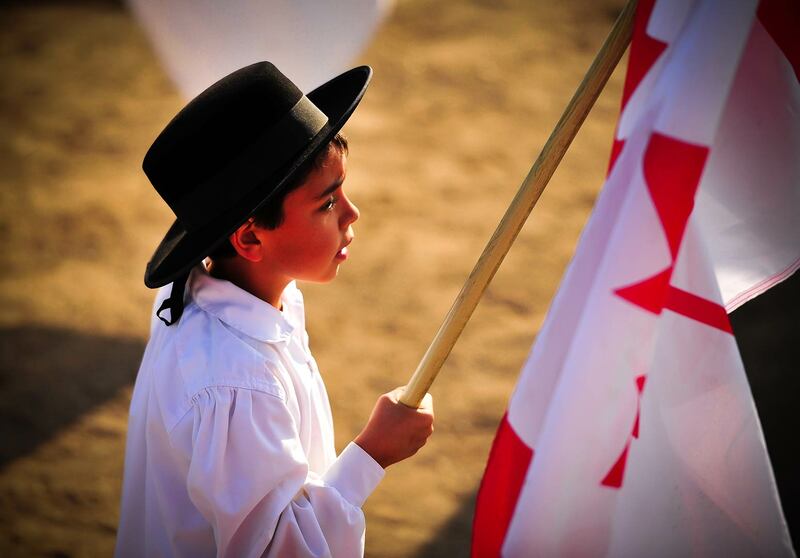 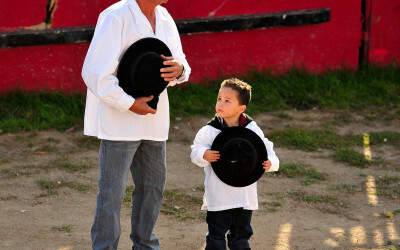 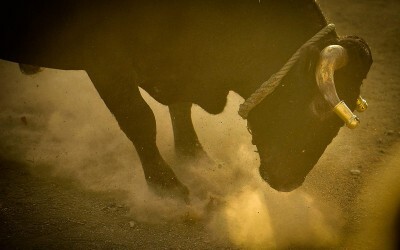 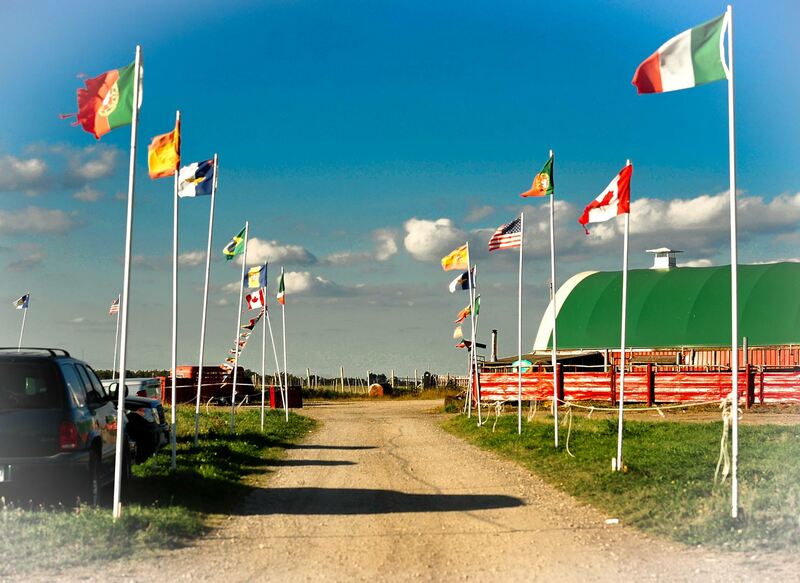 It’s a day of festivities for Portuguese Canadians who hold a traditional bull-running event in Arthur, Ontario. 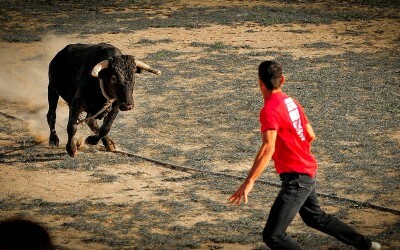 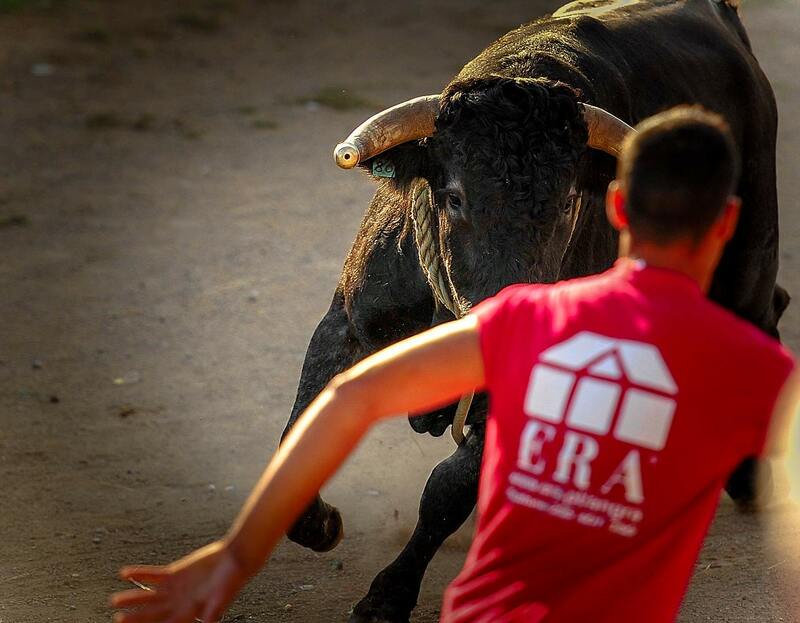 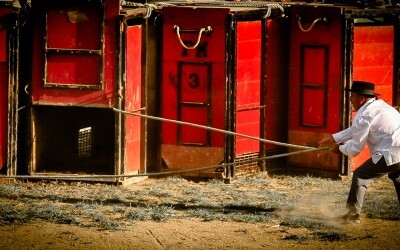 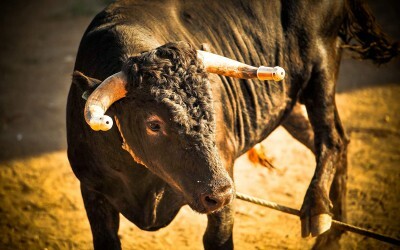 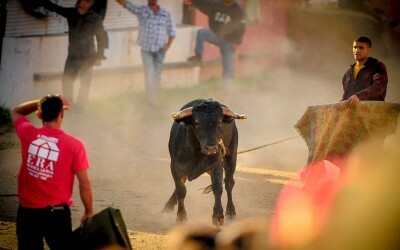 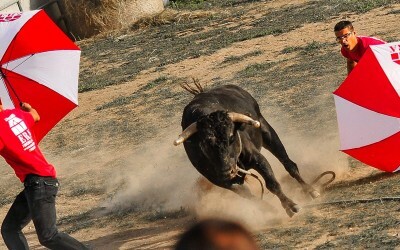 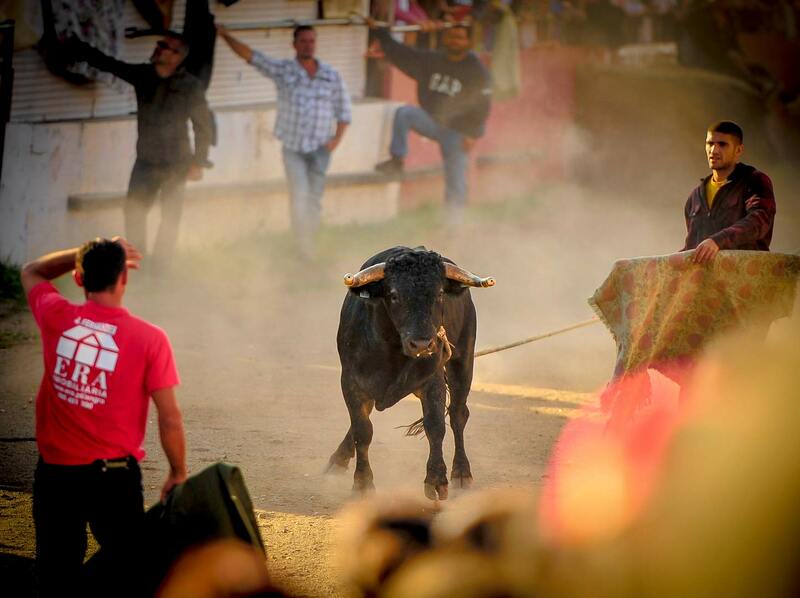 The real bull runs that are held in some towns in Europe, where the bull is let go free on the city street, are not allowed in Canada. 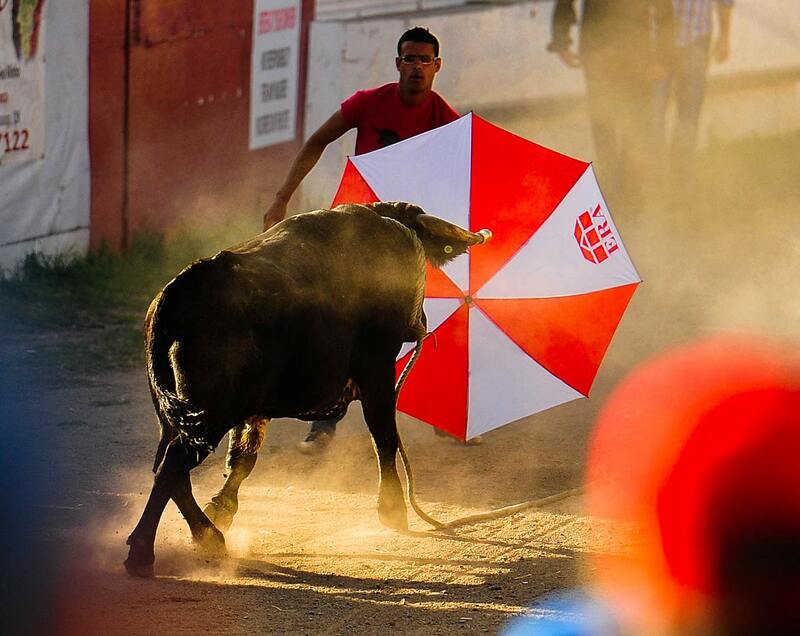 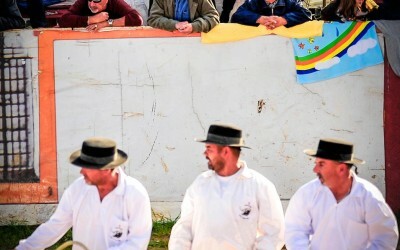 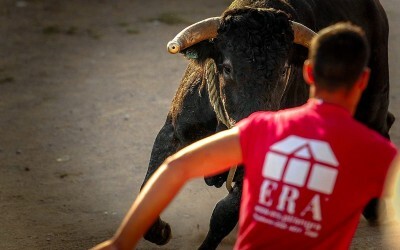 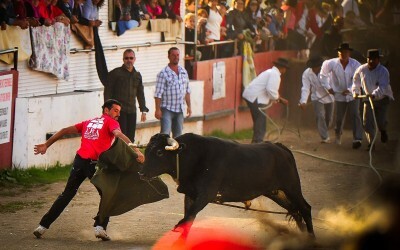 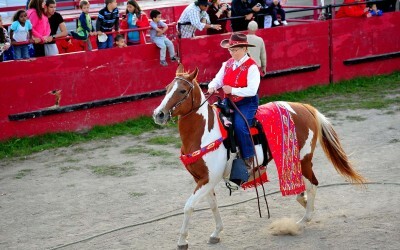 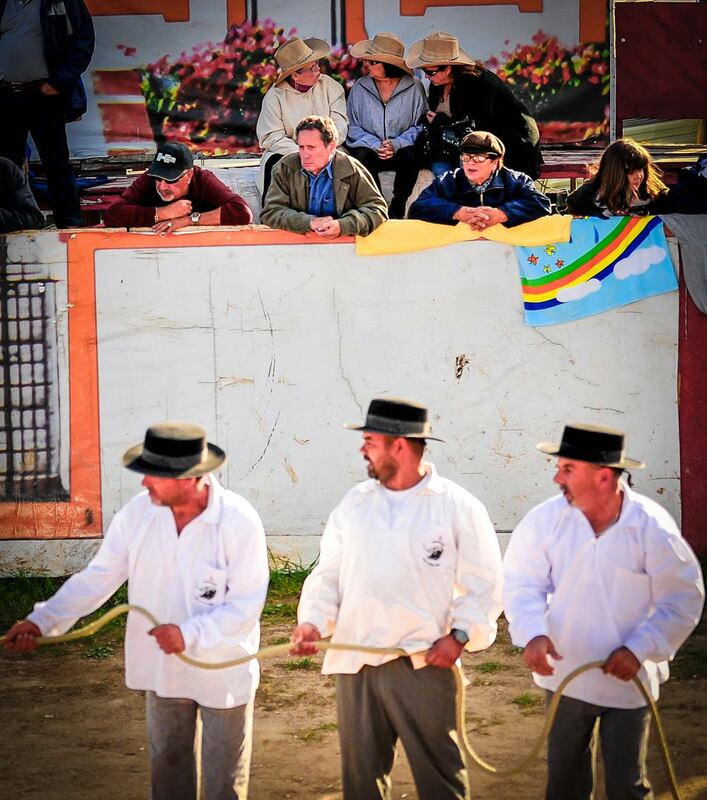 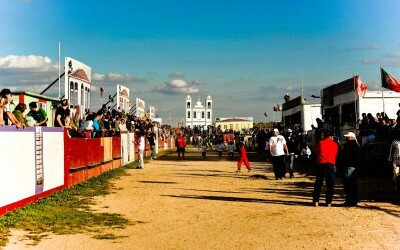 The participants at the event in Arthur do not harm the bull, or vice-versa, but they pretend its all real while having fun.